Buses are in Anthony Royle’s genes. Co-managing the Terrey Hills route service operation in Sydney’s north with his brother David, Anthony is the third generation of Royle at Forest Coach Lines, following the path blazed by his grandfather and grand-uncle who co-founded the company in 1930. That was three years before the first double-decker buses arrived in Sydney. Doubledeckers remained a common sight until their disappearance in the mid-1980s due to several factors including difficulty in obtaining spare parts and a relaxation in the maximum length of single-deck buses, and hence the advent of long bendy buses. But with more and more crowding on the roads and on public transport, are double-deckers set for a comeback? "Personally I think so, yes," Anthony Royle says. "A double-decker’s not the solution in every area," he adds. "With the height restrictions there are simply some suburbs you can’t operate in and probably never will be able to operate in. 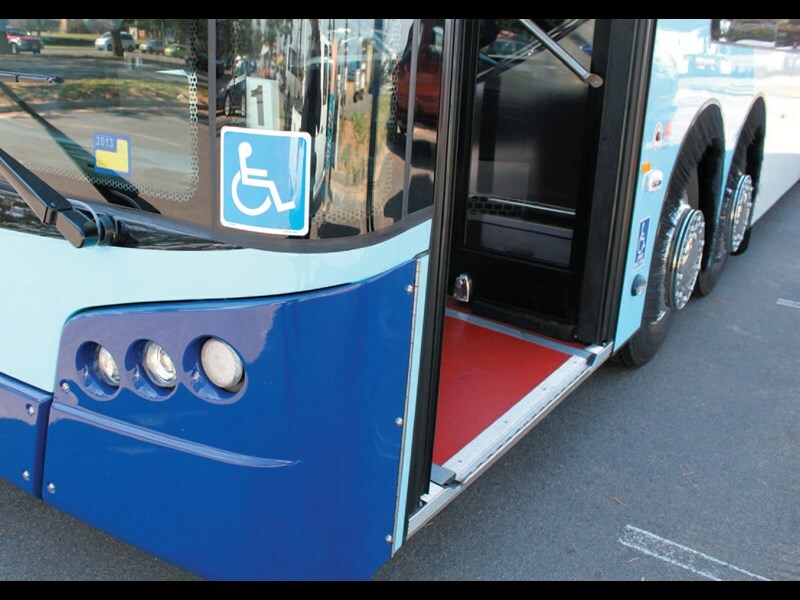 "But where the accessibility is there and the high capacity is needed, I think double-decker is the answer." Anthony Royle keeps buses for 25 years under the metropolitan contracts, so will be retaining his articulated buses for many years to come — but plans to buy more double-deckers for extra capacity. Royle is clearly a fan of the two Bustech double-deckers he already operates. 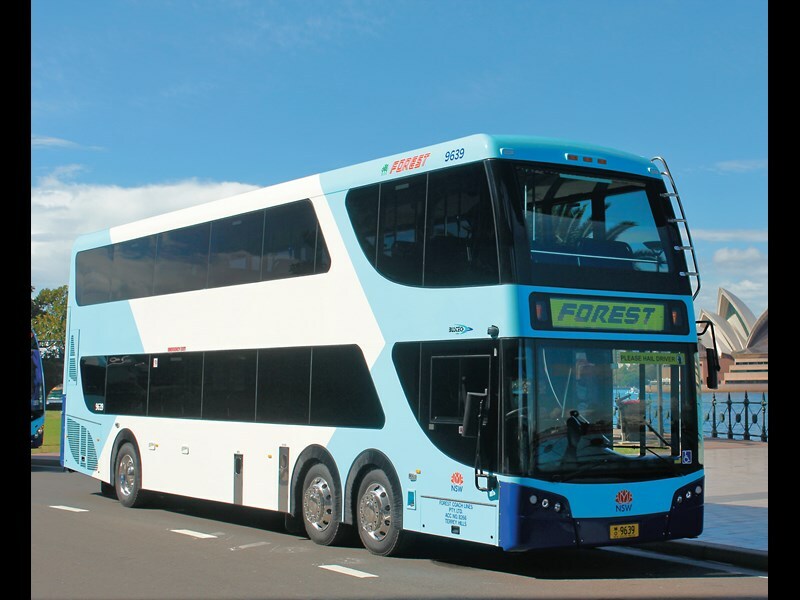 The Forest Coach Lines co-Managing Director paid $675,000 each for the buses and is putting them on express services from several northern Sydney suburbs to the CBD. Royle says there are several advantages of the double-deckers over his 16 articulated Volvo B12BLEs, with Custom Coaches bodies, already in city service as part of a total fleet of nearly 100 Volvos and Mercedes. One of the most obvious is that the double-deckers can seat 96 passengers, with 20 standing downstairs, compared with 64 seated passengers on the bendy buses. Refurbishment costs for the double-deckers will be lower than for the bendy buses: "The cost of refurbishing an articulated bus is high when you look at the cost of the turntables and bellows and the cost of the two air-conditioning units". Articulated buses are more time-consuming to service. And based on trials so far, Royle hopes to save about $10,000 in fuel per bus per year. As for performance on the road: "It drives like a dream," says Royle, adding there’s not much top body roll. It’s not all upside to the 4.3m-high double-deckers though. "The greatest challenge with the double-deckers is no doubt the trees," Royle says. "We have been working with four councils in the lead-up to the introduction of these vehicles and at this stage they have been very cooperative in clearing the specific routes that we have identified. 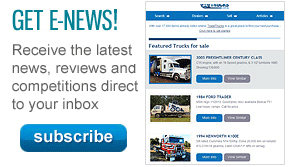 "It will be an ongoing challenge to keep on top of that, and will also require more extensive driver training. "Sometimes after heavy rain we have found the branches on some trees hang up to half a metre lower than normal, so we have had to allow for that." There is a stainless steel protection bar on the near-side top corner in case the bus still hits a branch. 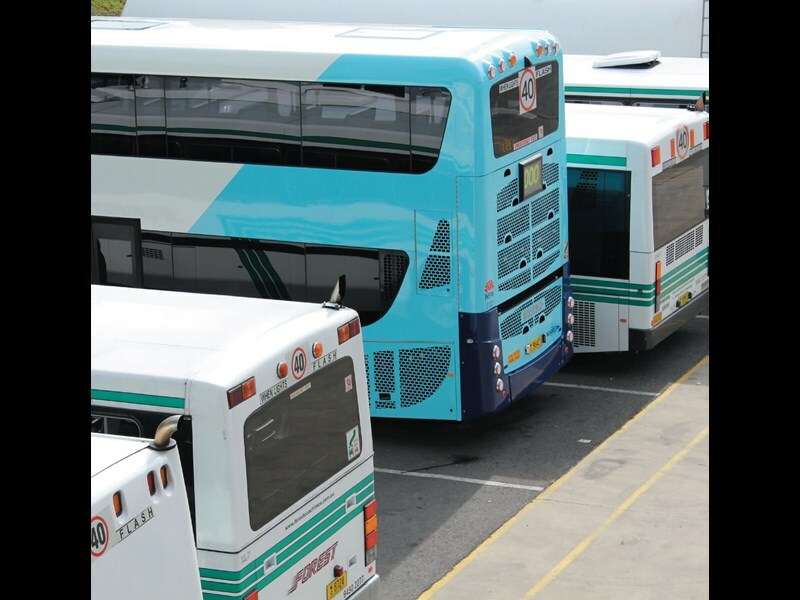 As well as trees, Forest Coach Lines has also had to identify potentially problematic awnings, bus stops, poles and roadside signage in both the suburbs and the CBD. Speaking of the CBD, traffic congestion is a major issue all around there. "We have huge congestion issues with buses banking back onto the Harbour Bridge in the morning," Royle says. He points out that an articulated bus uses 16.5m of kerb space, compared with the standard 12.5m for a double-decker, freeing up more kerb space. 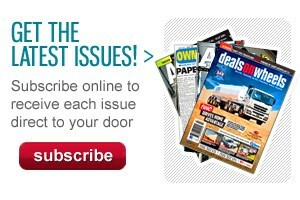 This space-saving benefit is a major attraction of double-deckers to the New South Wales Government. Forest Coach Lines along with Busways and CDC is part of an official trial of eight double-deckers extending to 2014. 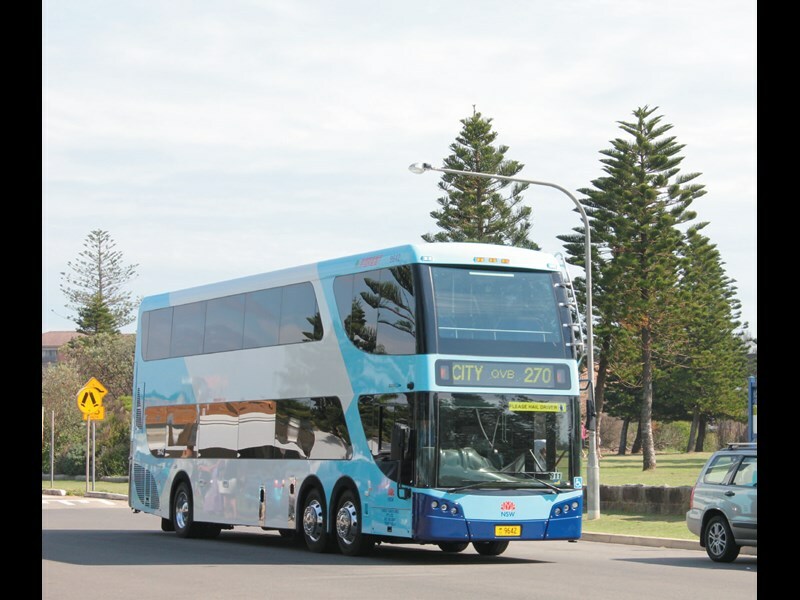 Transport Minister Gladys Berejiklian said in a press release last year: "These buses represent more than a trip down memory lane for transport history buffs — they could well be the way of the future. "They are certainly not the be-all and end-all but in the right circumstances and on the right routes we see potential for them to be able to help reduce congestion. "As part of the trial we need to look at what the impact is on dwell times — the time it takes people to board and alight, how customers respond to the service and how it compares with other options". Anthony Royle is excited about the NSW Government’s Opal card integrated ticketing system scanner which has been installed in the double-deckers. "That system is going to make a massive difference to the efficiency of our network," he says. "We need to board passengers much faster and speed these travel times and make public transport more attractive. This will help enormously." Ben Parker knows a thing or two about double-decker buses, both old and new. 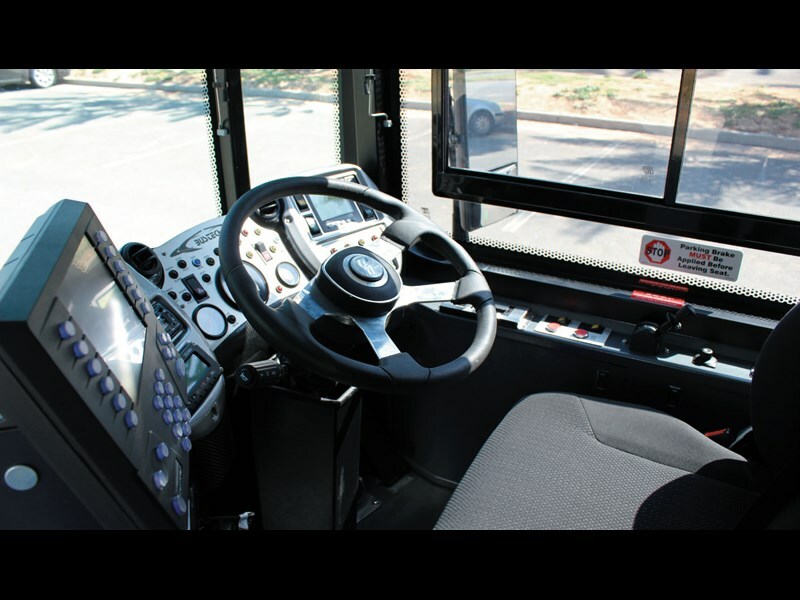 The Forest Coach Lines scheduler and driver trialled the Bustech units ahead of their official debut with his Sydney company. On weekends, he plays with his collection of a dozen old retired double-deckers, ranging from 1950s Albions and AECs to 1970s Leyland Atlanteans, which ran in Sydney until the mid-1980s. Parker says that during trials of the new double-deckers, older people have been eager to climb upstairs and re-live their youth, but not before holding up the whole show. "They want to reminisce about the old days as they’re getting on," he says. "So you find yourself getting delayed, and you can’t just tell them to get on and sit down." Parker says the most noticeable difference between old and new is in power — at 360hp (269kW) the Bustechs have about double the power of an Atlantean. He says the load sharing air-bag suspension with electronic stability control means there isn’t the sensation of being top heavy. The new buses won’t roll into a corner like the old spring suspension models, not that Parker is aware of any rollovers with the old buses. "You obviously have to be a little bit more careful on fast corners, but there’s nothing really to throw it around anyway," Parker says. He says the CDI brakes well, has no trouble getting up to the 90km/h speed limit on the fastest road it traverses, and has the best driver air-conditioning vents he’s ever experienced. ABC test drove double-deck Bus 9642 from Mona Vale Beach up the steep hills and around the gentle curves of Mona Vale Road to the side-streets ahead of the big Forest Coach Lines depot at Terrey Hills. So it was a scenic and varied workout, reaching 80km/h. 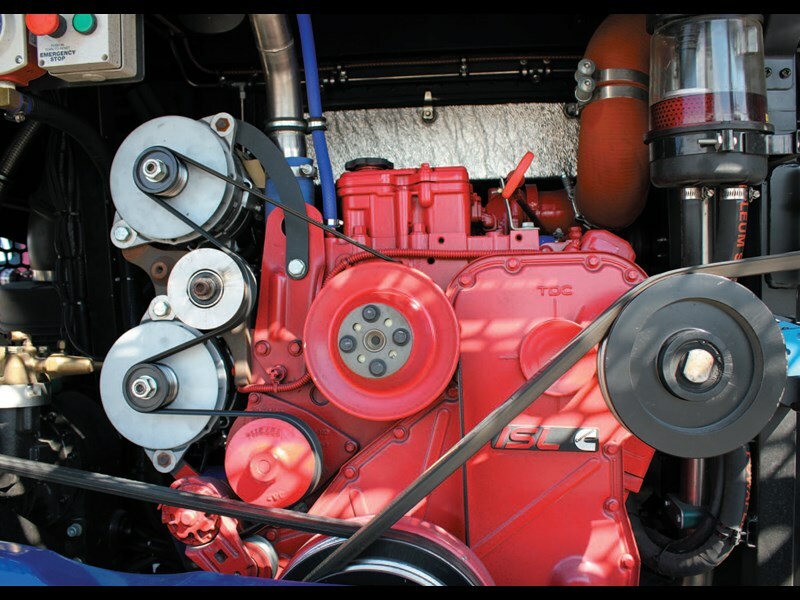 The Cummins engine and Allison transmission between them deliver surprisingly smooth power. The big bus was able to maintain a respectable 50km/h up a couple of steep hills, and easily cross into a side-road quickly from a standing start, ahead of a couple of trucks bearing down on us. While planting the foot, however, there is little chance of knocking standing passengers off their feet. There is also little chance of the bus rolling back at stops on steep hills, because of the transmission’s urge to keep moving forward. Stopping power is very good, between the service brakes and the excellent three-stage hydraulic Allison transmission retarder activated by varying degrees of pressure on the brake pedal. Despite being a double-decker the bus didn’t feel top-heavy on the curves and roundabouts. The seats are firm but comfortable and probably just big enough for most people for urban journeys of a maximum one hour. But if you’re a big person and you want the best seats in the house at the front of the top deck — forget it. There’s very little legroom in that prize spot. To save you the disappointment of missing a seat upstairs, there’s a handy video screen downstairs displaying what’s available. There are also 16 security cameras inside and out. Meanwhile, unless you’re a 6-footer or taller on the old scale — 180cm on the new — you can walk along both decks without ducking your head, just. The surprisingly wide staircase is towards the front, over the wheel arch, and elderly passengers have commented won how user-friendly it is. The only negatives I observed on the test drive involved slight obstruction issues. First, there is an A-pillar positioned just to the right of the driver’s main field of vision, not enough to obstruct vision, but annoying. Nevertheless we’d rather have the rollover protection the A-pillar provides. Then there is the driver’s sliding window channel, which at the seat height being driven at ran across the top of the ‘blind spot’ mirror. Again it wasn’t dangerous — but nevertheless annoying. Finally, there is a slight dog-leg involved for upstairs passengers wanting to get off, because at the bottom of the stairs they face a wall, and then there are a few steps to get to the middle door. One can foresee jams with standing passengers. On the other hand, it’s safer to have the staircase facing forwards rather than sideways, and the staircase position gives passengers the option of exiting from the front doors if there are too many people wanting to get off from the back. Search for new Bustech specs.